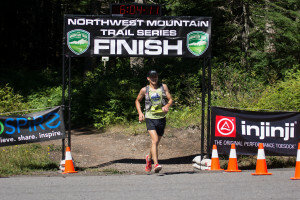 This guy ran his first 100K in 10:05 (Waldo), earning him 5th place overall, then a month later he ran the Pine to Palm 100M in 19:55:57 with a 3rd place finish, without even complaining about the Stein Butte climb. Oh, and he’s 17 years old. 1. When running long, determination is key. There are lots of times when there is suffering and continuing on is questioned, but the strength to push through this is something that is in all long distance runners. 2. Something else that helps me run long is the appreciation of the wilderness. When I am suffering (like at Pine to Palm) I find myself accepting the beauty and difficulty of the terrain instead of working against it. Being able enjoy the course and its views but still being able to push through pain is what helps me the most when it comes to running long. 3. For the last attribute, I am not sure what to say. I guess just keeping a positive outlook. A positive outlook is important because once negative thoughts start to come, the idea of quitting becomes more and more appealing to a tired mind. In short, the three main attributes are determination , loving the wilderness, and a positive outlook. I met Austin at SpeedGoat earlier this year. He raced in both Pike’s Peak Ascent (3:00:41) and SpeedGoat (6:45:16). 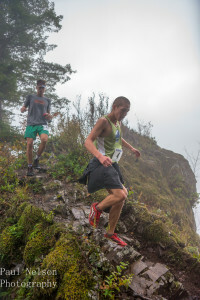 I’m afraid that I don’t know that much about him, except for the obvious fact that he loves to run fast in very steep races. 1. Love for the mountains. 2. Resilience; not giving up when things get hard. 3. The desire to do a harder race or farther distance. Go for the run. That’s acceptance of discomfort. (or spending time with the family, for those who have a life.) per day is a lot of stress all by itself. 4. Foster a sick addiction to pain. Ok, let me rephrase that. Learn to enjoy the pain from a climb, or the soreness that comes on the last few miles of a long run. This makes more and more sense as running slowly destroys your brain cells. 5. Learn from someone much more experienced than you. In my case this is now Karl, who has plenty of said experience running and winning ultras. A mentor or coach is very helpful if you’re new to the sport, even if they for some reason like to run around with inflated foam mattresses stuck to their feet. 6. And it takes GUs, lots of GUs. *The author, and those interviewed do not participate in Quidditch, I think. This article is not in any way affiliated with GUEnergyLabs, the international Quidditch association, and MattressSandalsInc. Well done TJ, some of us old folks need those foam mattresses. Stay motivated and eager to run, it’s pretty easy when it’s done for fun. Keep the stress out of your life and you’ll become one of the best ultrarunners on earth. Perhaps my 35 wins would be in jeopardy. Awesome write up TJ! You are a talented runner and writer! Keep up the good work. I think Karl is right – he’d better watch out! Nice write up TJ! I enjoyed running with you briefly as I was suffering a Bonk at flagline in 2012. Look forward to running with you again. Happy adventures- see you on the trail! 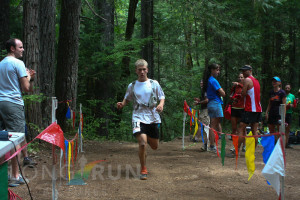 TJ, may all your trails be joyous and your running long enabled! Thanks for the post! I enjoyed reading your blog, I was inspired with the experience shared and morivations. Keep it up TJ. God bless.